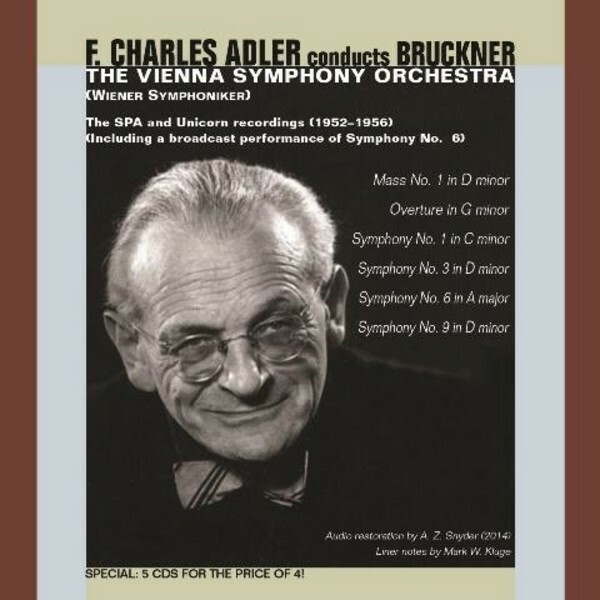 English born conductor F Charles Adler was a student of Gustav Mahler and a devoted Bruckner enthusiast. Presented here are the fabled SPA and Unicorn studio recordings (1952-1956) as well as a live broadcast performance of Symphony No.6. These works have been expertly restored and remastered in 2014 by Aaron Z Snyder.